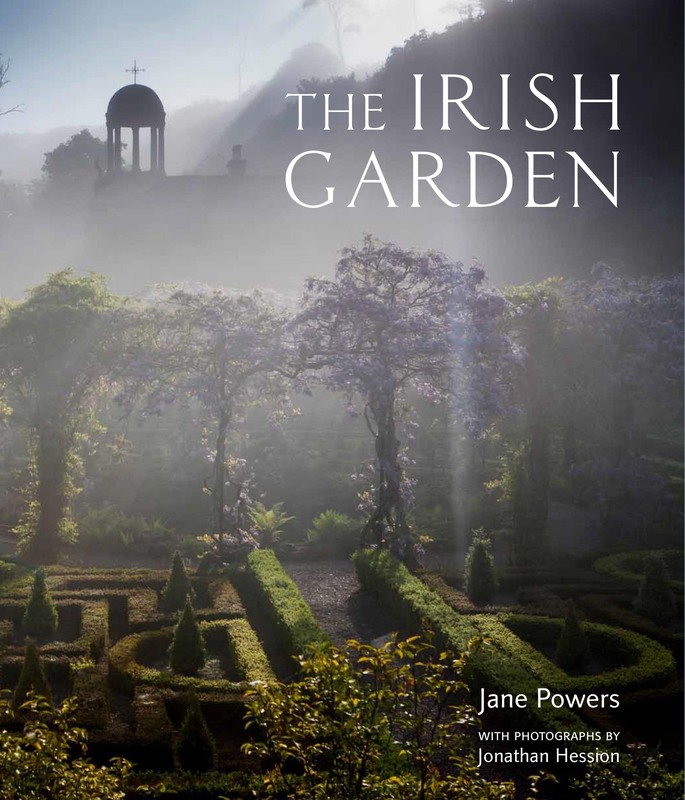 My second book, The Irish Garden, published by Frances Lincoln in the spring of 2015, is a whopping great volume — 400 pages long, and weighing in at 6 lbs 9 oz — rather larger than I or the publishers had planned. In it, I visit the best gardens in Ireland that are open to the public, talk about their history and about the people who made them. Nearly sixty gardens, in both the Republic and Northern Ireland, are covered. The book is laid out thematically, taking the reader on a horticultural tour, from the grand old demesnes of the Anglo-Irish ascendancy to the intensely personal creations of today’s passionate plantspeople and garden makers. My excellent husband, Jonathan Hession, took the photographs. He travelled all over the island of Ireland, visiting some of the gardens many times to catch particular scenes at the exact right time of the year and the exact right time of the day. He was up at dawn on countless occasions, slipping into that magic window of time between darkness and light — when all is luminous and misty and mysterious. He was also admirably gymnastic in the pursuit of the perfect picture: scaling trees, balancing on walls, clambering onto roofs and standing in the middle of a river in his waders. As a result, his photographs depict views of Irish gardens that, in many cases, are far from ordinary and are startlingly beautiful. The book is available in all good book shops and online. Howbert & Mays offers a mail-order service within Ireland. Just fill in the form on its website if you’d like a particular message on the book. The Irish Garden is also available in German as Irlands Schönste Gärten, published by DVA and translated by Stefan Leppert.